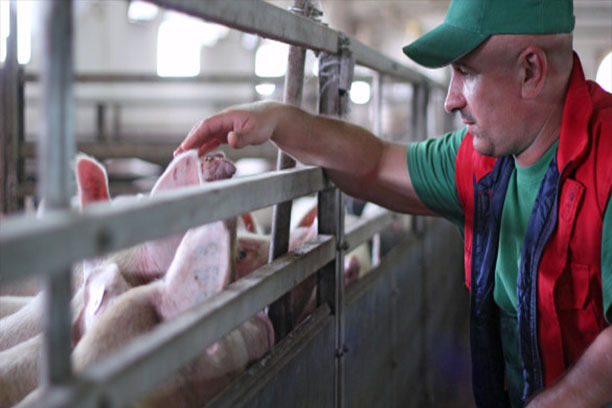 Assist partners with swine producers on a complete health program. Assist focuses on correcting toxic issues related to swine drinking water by targeting the removal of sulfates as well as various heavy metals such as iron and manganese in both well and municipal water sources. We understand the critical need to adjust and monitor pH of the drinking water in order to provide optimal conditions in the gut. Assist provides sound probiotic solutions which promote healthy microbial populations in the gut. This step promotes a healthy well balanced gut throughout the various life stages of a pig resulting in an optimized gut environment, an improved digestive balance, less stress, better feed conversion and improved animal health. For more information about swine success stories, click here. IMS for Swine is a high concentration of amino acids, trace minerals and direct-fed microbials. Defender is an all-natural, concentrated liquid that provides rapid ammonia control and pH reduction.